Docebo’s system gives you access to standard reports that provide you with useful information about courses, and user progress. Let’s focus on Standard reports. Click on the magnifying glass to view each available course. Users – Delay report: By selecting this function, you will be able to make a delay analysis. 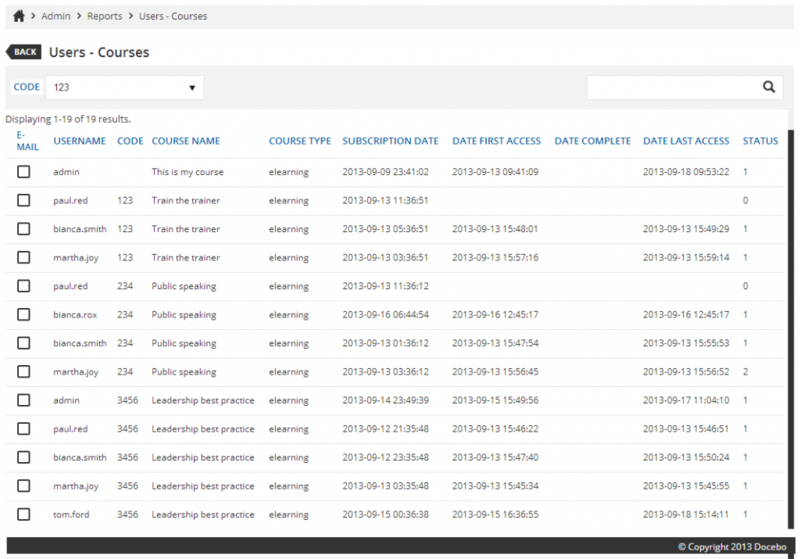 The delay report allows you to display all the users that have not completed the courses within a given period of time. 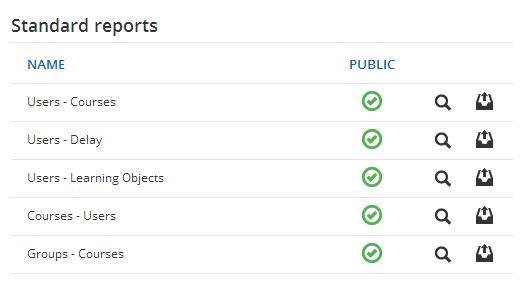 Users – Learning objects report: Selecting this function will help you relate the users to their learning objects. 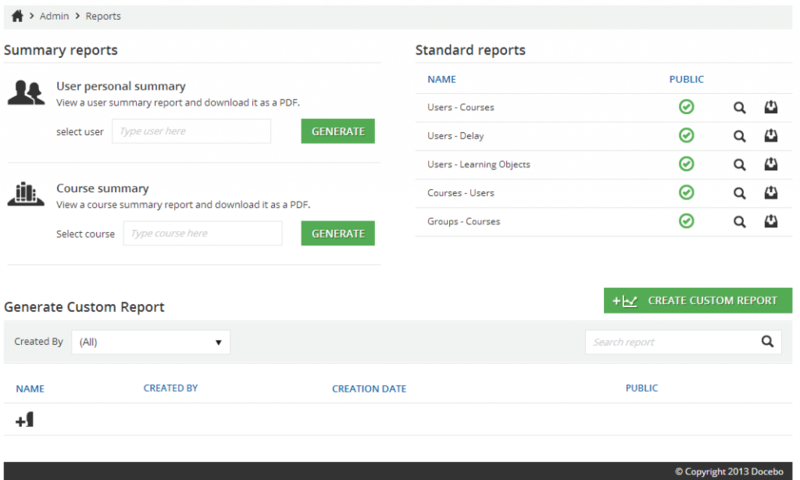 Group – courses report: by selecting this function, you will run a report with the progress details of each selected group. 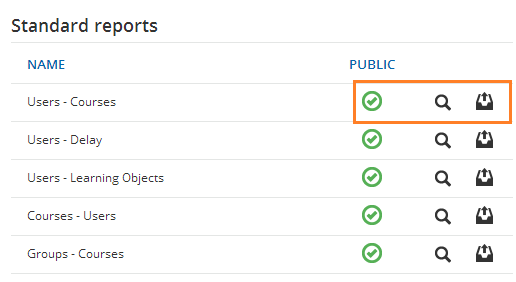 Export the report as a .xls, .csv, or .html file.